Portland police school resource officers responded to area near 82nd Avenue on Tuesday. 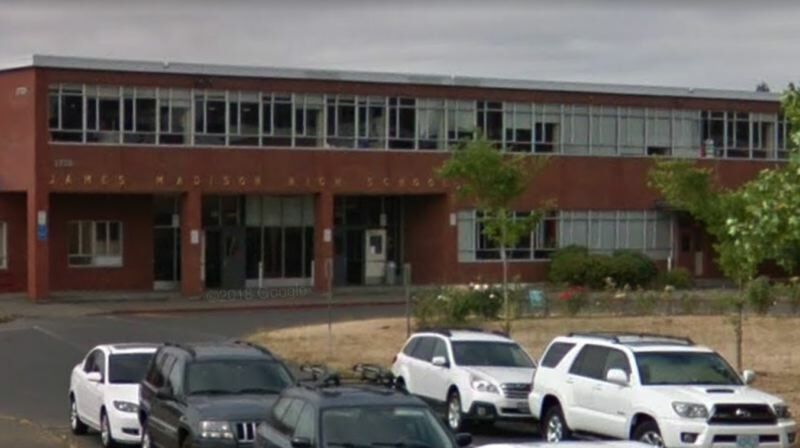 Portland Police have arrested a man with a gun found near Madison High School. Students called police to report spotting the armed suspect allegedly lurking near the tennis courts in Glenhaven Park, which is located just north of campus. School resource officers with the Bureau's Youth Services Division responded to the school, 2735 N.E. 82nd Ave., around 12:49 p.m., according to a news release. The authorities didn't immediately locate the suspect but later found him waiting at a close-by TriMet bus stop. "As officers went to contact the subject, he ran towards Glenhaven Park but was quickly taken into custody without incident," according to a news release. "During a search of the subject, officers located a handgun in his possession." The school is no longer operating under lockout procedures.